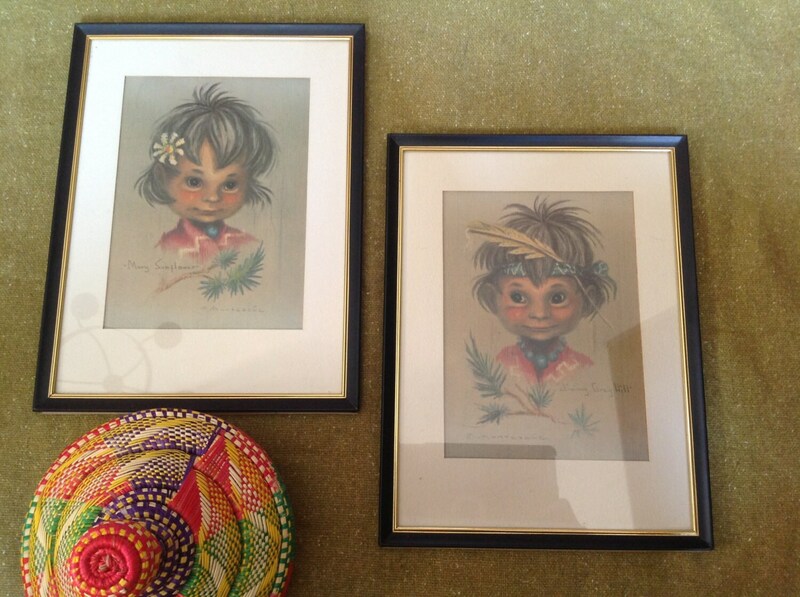 Offered is a pair of chromolithographs signed by Monteague. This man was an artist who spent much time in the southwest while his parents ran a trading post in the late 1850's. He came to know many native children and took to representing them in his work. 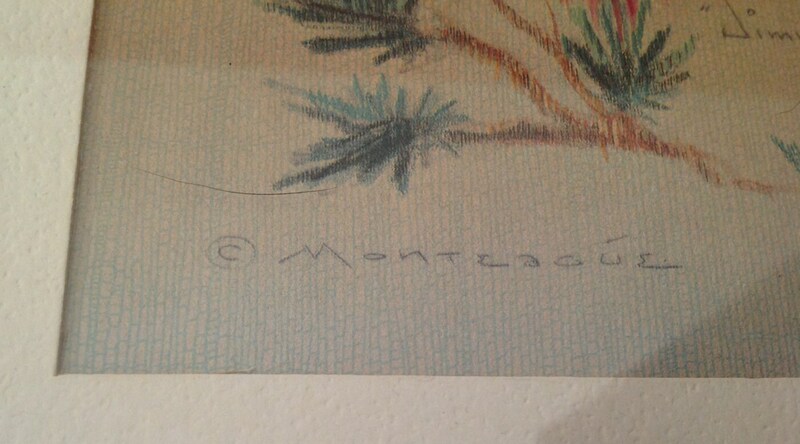 His work is not mass produced, but each one a reproduction drawing that has been hand colored by Monteague. Each little one has been give a name. 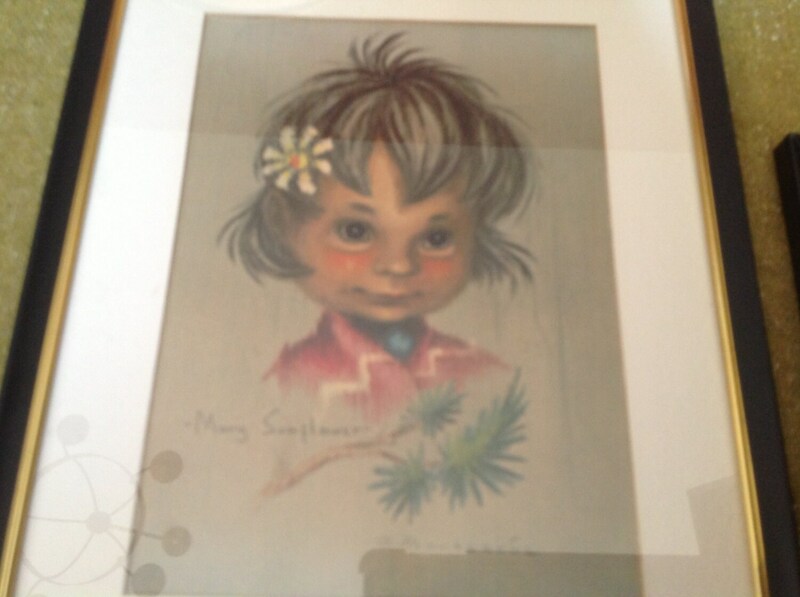 Offered here is a very sweet "Mary Sunflower" , who wears a little flower in her dark hair, along with "Jimmy Grey Hill" who wears a bandana and yellow feather in his. Monteague has won many awards. These chromolithographs are matted in ivory in black plastic frames. 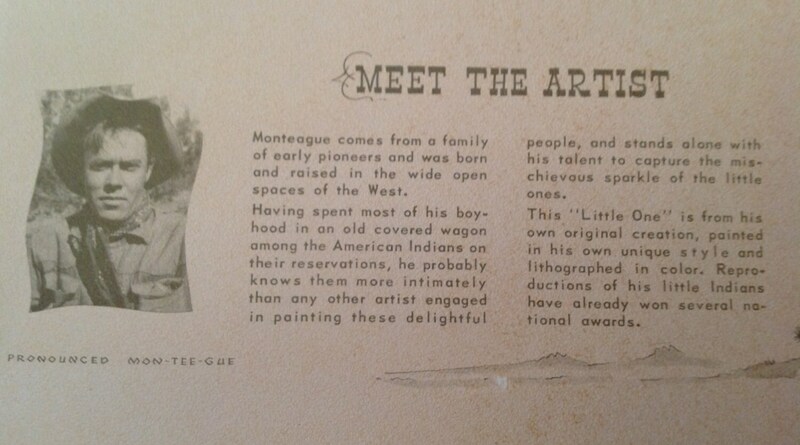 Monteague comes from a family of early pioneers and was born and raised in the wide open spaces of the West. Having spent most of his boyhood in an old covered wagon among the American Indians on their reservations, he probably knows them more intimately than any other artist engaged in painting these delightful people, and stands alone with his talent to capture the mischievous sparkle of the little one. 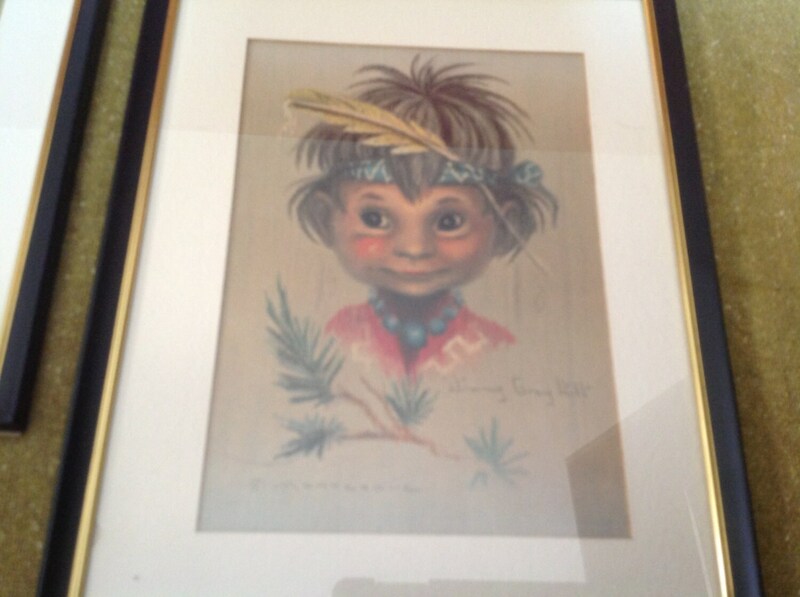 This "Little One" is from his own original creation, painted in his own unique style and lithographed in color. Reproductions of his little Indian have already won several national awards.